i don't know whether you've in vestigated, but flickr has groups, and when you join you can "submit" one of your photos to the group photostream. maybe there's a databending (or similar) group. 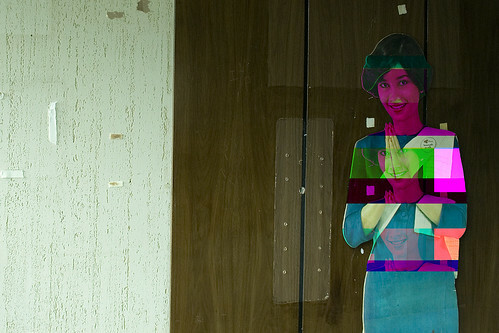 i'm already the #1 contributor on the glitch art pool, and i still have lots of stuff i haven't uploaded.